Snyders painted many different kinds of still-life subjects, from large kitchen pieces to intimate representations of flowers. Some of his compositions are complex and dynamic; others, such as this one, are more focused and quiet. His brushwork, too, is sometimes precise and barely perceptible, sometimes more fluid, or, as here, almost sketchy. 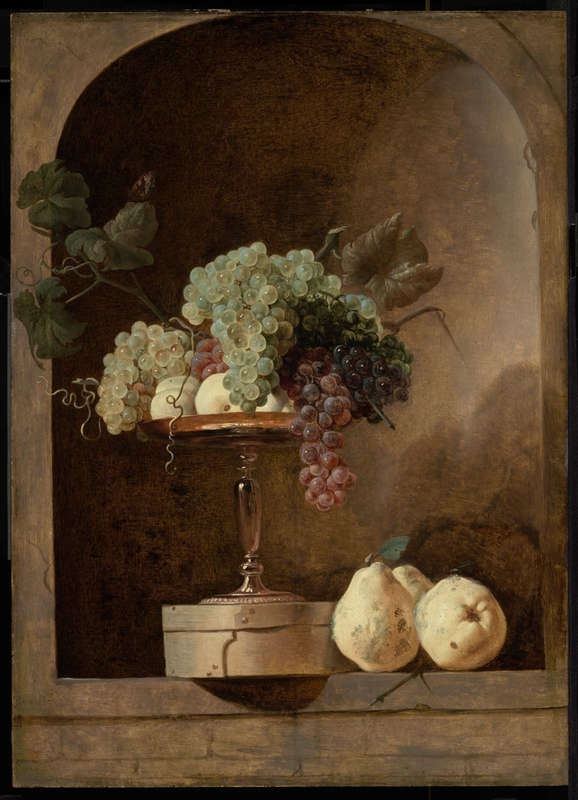 The low viewpoint of this painting, emphasized by the shadow of the box that overlaps the edge of the niche, suggests that it was intended to be hung high, perhaps over a door.